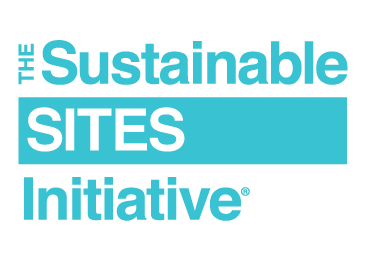 Join us on Wednesday, Nov. 4, 2015, from 2:00-3:00 p.m. EST for a free webinar on the Sustainable SITES Initiative (SITES). Population growth and development are causing our communities to use more resources than ever before—which means more waste and a negative impact on the environment. Traditional land development and land use decisions often underestimate or ignore healthy ecosystems. Sustainable land design and development is cost-effective, better for the land and fosters resiliency. SITES is the most comprehensive program for developing sustainable landscapes. Administered by GBCI, the SITES program offers a systematic, comprehensive rating system designed to define sustainable sites; measure their performance; and, ultimately, evaluate the value of landscapes. SITES certification is for development projects located on sites with or without buildings—ranging from national parks to corporate campuses, from streetscapes to homes. The SITES rating system is currently being used by landscape architects, designers, engineers, architects, developers, policymakers and more. Learn how SITES (and an integrative process) can offset development impacts while protecting and restoring ecosystem services. Have the opportunity to ask questions about SITES.